All of us here at Filter Stream and Air Tamer are so thankful that you have joined us for Asthma and Allergy Awareness Month. We are committed to giving you the best information and products to help you live a healthy life. This month we covered a lot of information to help raise and promote awareness for both of these chronic conditions. During the first week of this month we covered Air Quality. 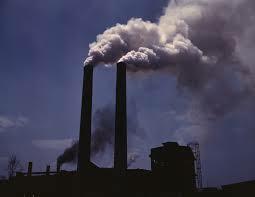 We learned that Air Quality is responsible for several dangerous health issues. FilterStream and AirTamer challenged you to do something to help promote better air quality. We also talked about National Asthma Awareness Day. Asthma is the one of the most common and costly diseases. For those affected by asthma and the effects of poor air quality, AirTamer offers a world leading air purifier in the A302 to help avoid your asthma and allergy triggers. Week two focused on allergies and how they relate to asthma. We delved into where the sinuses are located and what sinus allergies are and how allergens cause the symptoms of chronic sinusitis; we also covered pet allergies. Remember, it is not the fur that causes the allergy but all of the allergens that can get trapped on the hair. We discussed how sinus and pet allergies can cause asthma in certain patients, learning that allergies and asthma often times go hand in hand. Last week we tackled Eosinophil. We learned that these are white blood cells. When patients with sinus allergies and asthma were exposed to allergens these cells appeared in the sinuses and bronchial airways, respectively. We also learned that there is no known cause as to why eosinophil cells congregate in these areas. 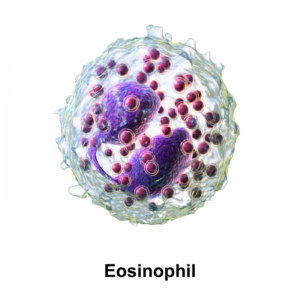 Eosinophil cells release proteins that cause airways to constrict and become inflamed making symptoms worse. Asthma and Allergy Awareness month is an important month at FilterStream and AirTamer. We hope that you have enjoyed learning about both of these conditions. Next month is Men’s Health Awareness Month and we will be dedicating a series to promoting healthy living for men. Thank you again for joining us this month and we hope to see you back next month. As always if you have any questions or comments let us know on below. Until next time!